Many of you remarked on my last post about my Pyrex succulent garden that you had never heard about Pyrex possibly containing high amounts of lead. I had just mentioned that in the post to explain why I turned the containers into planters, but the number of shocked responses made me think I should write a more in-depth post about Pyrex and lead content to help you guys determine if your own Pyrex pieces may be unsafe for you. That being said, there is not a clear, definite answer determining whether all pre-1979 Pyrex is safe or not. 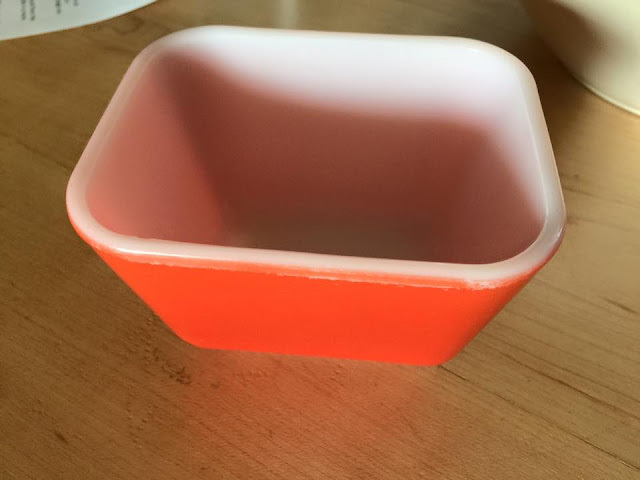 It really depends on who you ask and what kind of Pyrex it is, so in this post I've gathered lots of information in hopes you will be better informed in making your own choice. - The lead is largely in the paint on the outside of the bowl. - The milk glass can still have lead in it, though it is probably inert. Scratches and wearing down of the glass by acidic foods may cause lead to leach out, however. - There are no lab tests being done on the milk glass portion, though, so there is no definite answer to define when this breaking-down and leaching stage may start. 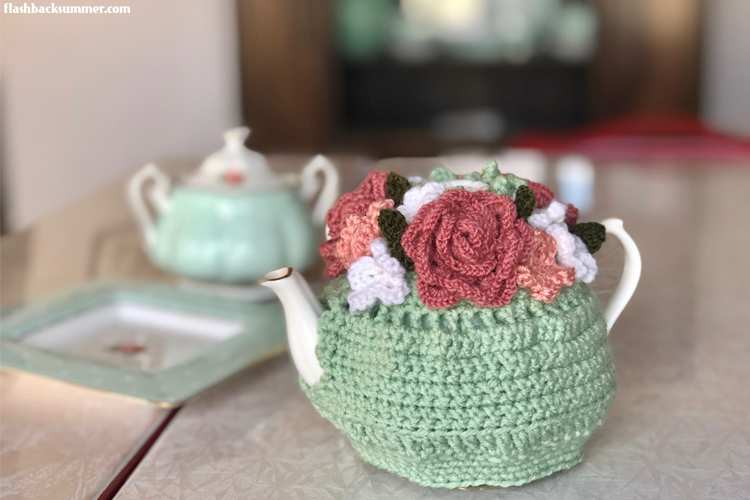 - Even if lead is just on the outside, it comes off in microscopic amounts every time you stack a bowl inside another, wipe it down with a dish cloth, wash it, etc. - At-home lead tests are available, but they only test paint accurately, not the milk glass. As a baseline, 90 parts per million or below is considered an acceptable level of lead for children (although no level of lead is really "safe"). Are you as freaked out as I was when I first saw those numbers?! I was expecting a bit of lead, but not in the TENS OF THOUSANDS! So are you properly terrified and convinced we're living in a dangerous world? I know this is a lot of scary information, especially for those of you that have children. 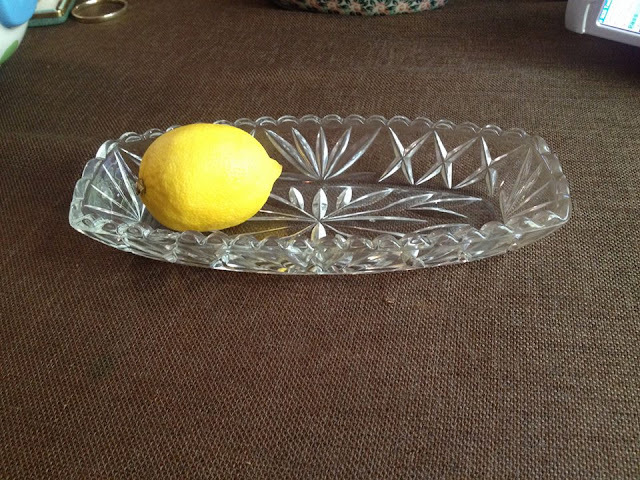 However, not all vintage dishes have such huge amounts of lead. 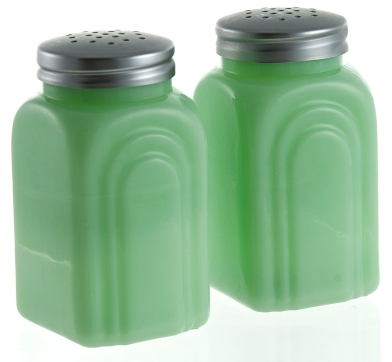 Jadeite is generally considered far safer than Pyrex to use as far as lead content goes. 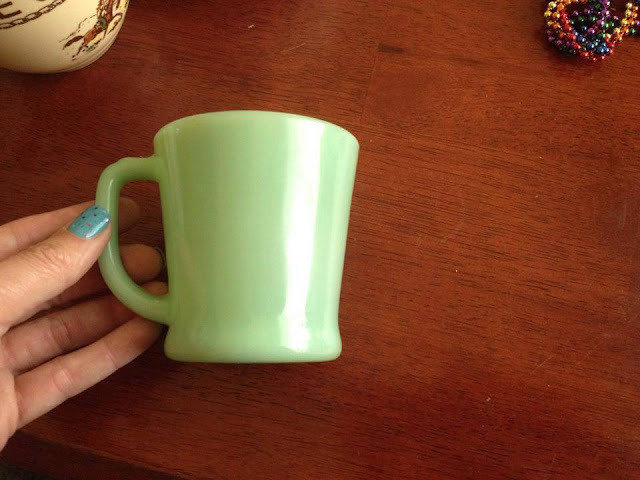 Not all jadeite has even trace amounts of lead. SO WHAT DOES THIS MEAN FOR MY PYREX COLLECTION?! I had the same thought after reading several articles. I felt betrayed by the glass that I thought would be healthier, not to mention frustrated at all the time and money I had spent researching and purchasing Pyrex. I know that for many of you, too, Pyrex has a very special place in your heart because you mixed up cookies in it with your mom, or you have that dish that was passed down from your grandmother. It's scary to think these pieces we love so much probably have lead in them. However, it's up to you to decide what you consider an acceptable risk. If you have children, you may want to be more sensitive to risks of Pyrex versus if you're an adult living on your own. How you use your Pyrex is also a factor. Perhaps, like me, you may decide not to use your Pyrex in food prep but you're alright with keeping it on a shelf as a decorative item. You can also put your Pyrex in a glass collector case to be even more protected from the lead content while also still being able to enjoy its beauty. Now you know, and the choice is yours. What if I don't want to use Pyrex for food at all now? Are there still cute dishes in the world?! 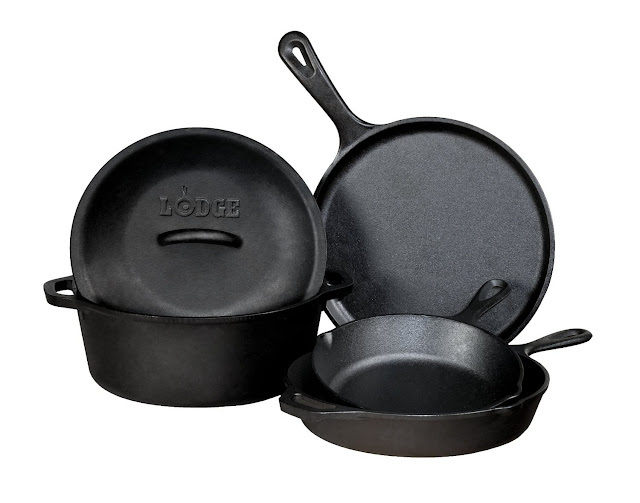 A timeless classic, cast iron is healthy to use, lasts forever, and seasons over time to add great flavor to your dishes. I mean, come on, how cute are the cornbread trays shaped like ears of corn?! As an added bonus, you also build muscles lifting cast iron in your kitchen! 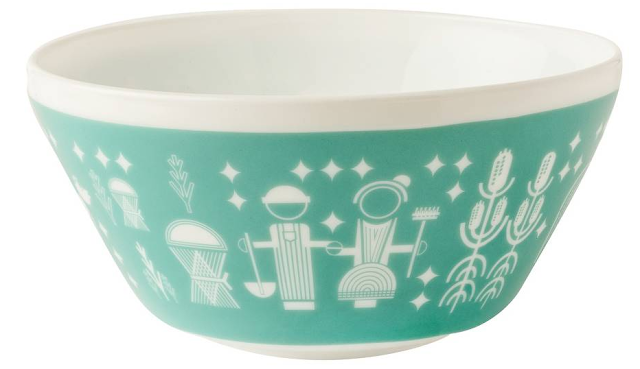 The modern Pyrex company has created some items, like the "Vintage Charm" pieces, that look older but are safe. Clear Pyrex is also a good option. 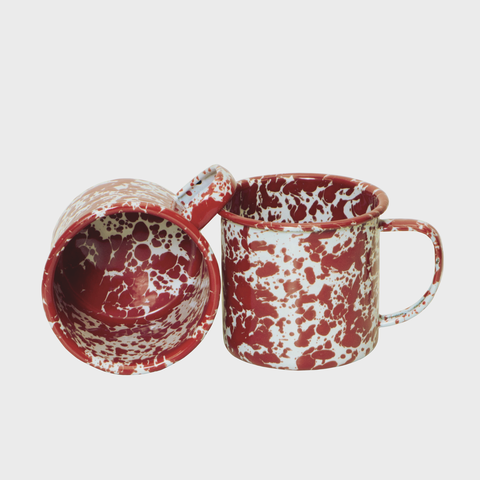 Solid and spattered enamelware are also looks used in yesteryear's kitchens, and there are beautiful reproductions available from companies like Crow Canyon Home. 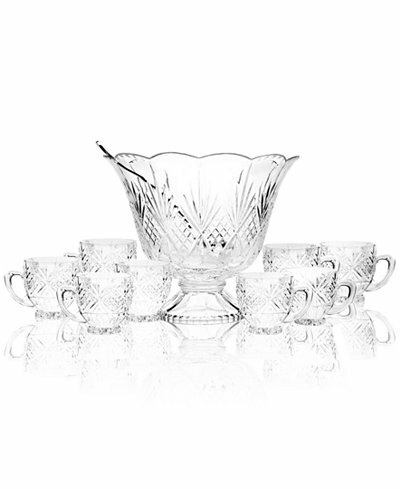 Dishes made of cut glass are plentiful in both modern and vintage options, and both are safe to use. 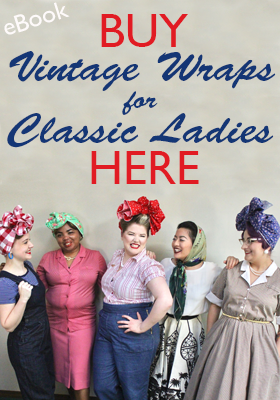 Vintage ones can be affordably priced, and the clear color means they match everything! As we talked about above, jadeite is a generally safer option. New, reproduction jadeite is a very safe kind to use, and it's readily available in many places! So what are your thoughts? How conflicted are your feelings for your own Pyrex dishes? 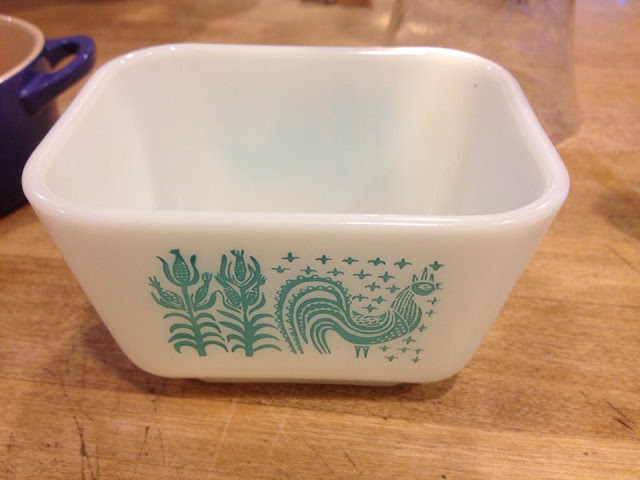 Knowing what you know now, how do you think you will use or not use your vintage Pyrex pieces? I'm in absolute shock! Though I had a similar situation where I kept my alcohol in crystal decanters only to discover that lead was leaching through to the liquid whic I was serving. Very disappointing!!! That IS disappointing! It was quite shocking to me, too. I'm not totally sure why I felt so strongly about dishes but it was a very sad day to learn this stuff. But... Better different dishes than going crazy or dying early I suppose, haha! Thanks for sharing this! It's really shocking, and depressing really, to discover how much of the things we use on a daily basis are poisonous. Perhaps even more shocking is how toxic a lot of new things are, especially in the cosmetic and garment industries. I just really don't get it. Frankly, everything is dangerous. 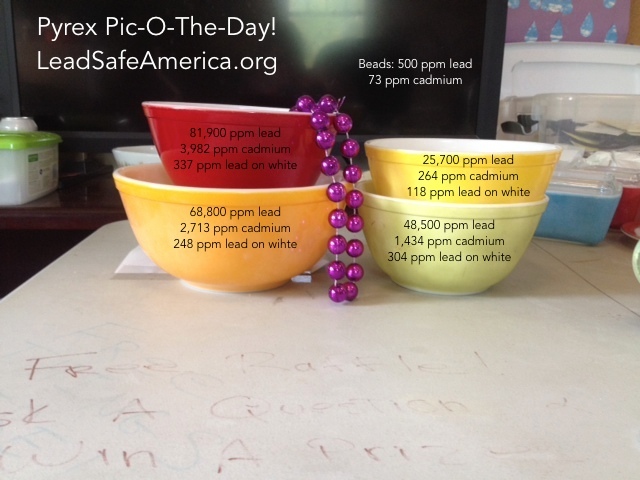 And while I don't want lead in my things, how many people have died from Pyrex lead poisoning? What we think is safe now will probably be considered toxic in a few years anyway. Just look at how anti-bacterial items are now about to lose their FDA approval when just a few years ago they were our saviors. Yeah, I don't think it's so much the threat of death as much as it is the threat of learning disabilities, mental handicaps, and other irreversible damage that's especially likely for children. It's definitely true that we're probably living with unsafe stuff now and just know it, but I personally feel it's wise to avoid what I know to be definitely dangerous and do the best I can with the ambiguous stuff. 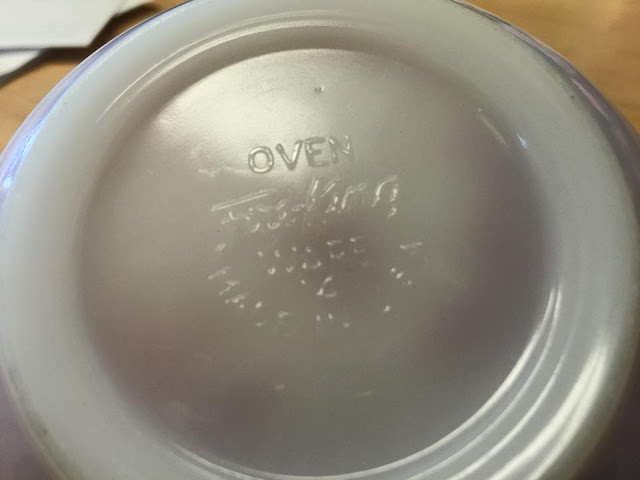 I had no idea that the paint on pyrex contained lead until you mentioned it in your last post. So, thank-you for sharing this with us! It is one thing to be ignorant and unknowingly do something that could have health risks, but once you know the risks, it just makes sense to change. SO, that being said, as much as it breaks my heart, I guess I will not be using my pyrex bowls for food. I think I'll use them as sewing storage or something. Maybe I could store buttons and thread in them? That's a good idea! I'm guessing touching the paint doesn't allow as much lead into the body as ingestion (assuming you don't lick your fingers when you sew, haha!). There really are so many scary chemicals in the world. I try to take it all with a grain of salt and keep it in perspective, but now I feel like I should test all my old stuff for lead.... But keeping it in perspective, haha! This is disheartening, but so informative! I had yet to start collecting Pyrex; but it's good to know now. I'll stick with my favorite seventies Corelle dishes, I guess. 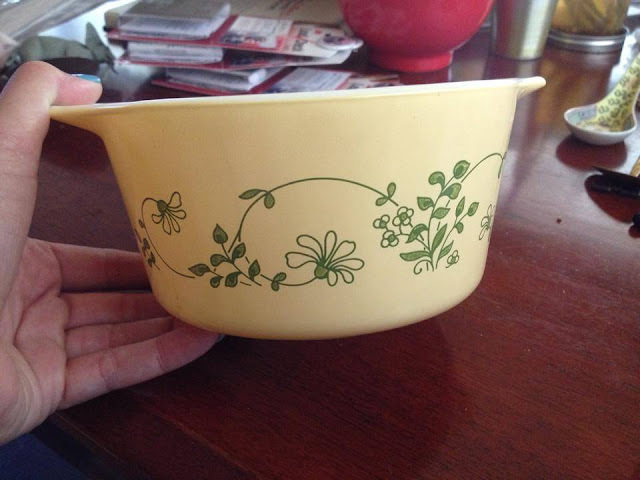 I do love those throwback Target bowls! So cute, and so tempting! Aren't they?! 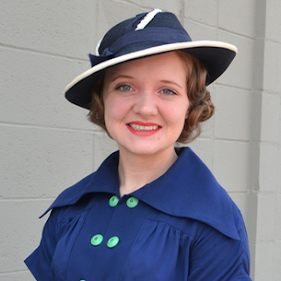 And there are plenty of other cute vintage things to collect; you're right! When I got pregnant my husband became obsessed with researching every possible threat to the health of our child. It was possibly over the top, but it was also alarming how many potentially harmful things were around in our house. We have more or less replaced all of our ceramics, because the evidence on whether there is lead and whether it leaches is all over the place, most plastics, everything non-stick, and he also lead tested anything old and painted or stained! On the other hand, my mum had a lead toy horse that she sucked on until it had no legs, and she's one of the smartest people I know, so it's a lottery! I had no clue! I should take a look at all my hand me downs and see if they test for lead. Thank you for this post. I'm just now stumbling on the lead situation after NPR posted a story about Pyrex collectors and someone mentioned lead in the comments. There are some good newer options out there but nothing beats the vintage Pyrex nesting dishes with the glass lids! I have used my set daily for nearly 8 years. I grew up using them and asked my mom when I was getting married if she would gift them to me. She said no (haha-she used them daily too!) and my dear best friend bought me a set of the same exact pattern on eBay as a wedding present. I will find another use for some of these (the heavily painted ones) but will probably never find a good replacement. 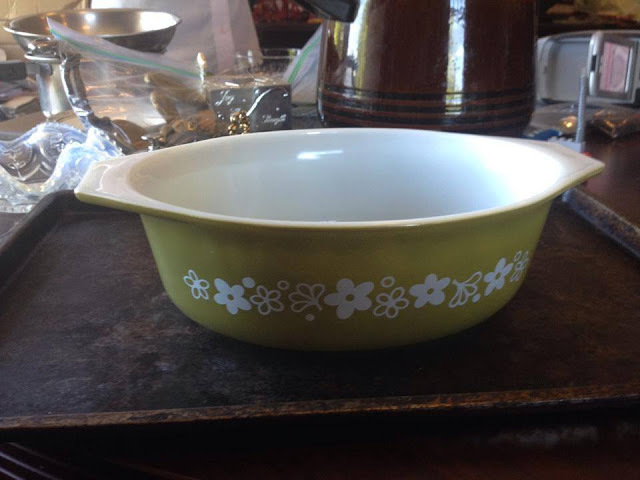 I appreciate Pyrex releasing that vintage collection but the only vintage aspect was the pattern - not the size or shape or function of the dish which is what makes old Pyrex so special.